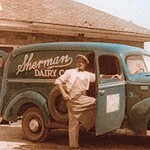 Sunday, June 29 2:00-4:00 p.m. – The Eighth Annual Sherman’s Old Fashioned Ice Cream Social.. Featuring Sherman’s Old-Fashioned Ice Cream and Entertainment by the Casco Band. All are welcome – Social is held out on the front lawn at Hartman School, home of the Historical Association of South Haven.